GENEVA, 25th April, 2017 (WAM) -- The United Arab Emirates, UAE, on Tuesday donated US$100 million to support Yemen during 2017, and vowed unwavering support for the Yemeni people. The donation was announced by Sultan Mohammed Al Shamsi, Assistant Minister of Foreign Affairs and International Cooperation for International Development Affairs, during the High-Level Pledging Event for the Humanitarian Crisis in Yemen, held in Geneva, Switzerland. Since April 2015, the UAE has provided more than $2 billion to support humanitarian operations, development and reconstruction in various sectors including infrastructure, healthcare and housing across Yemen. The aid benefited 10 million Yemeni of which four million were children, Al Shamsi said. 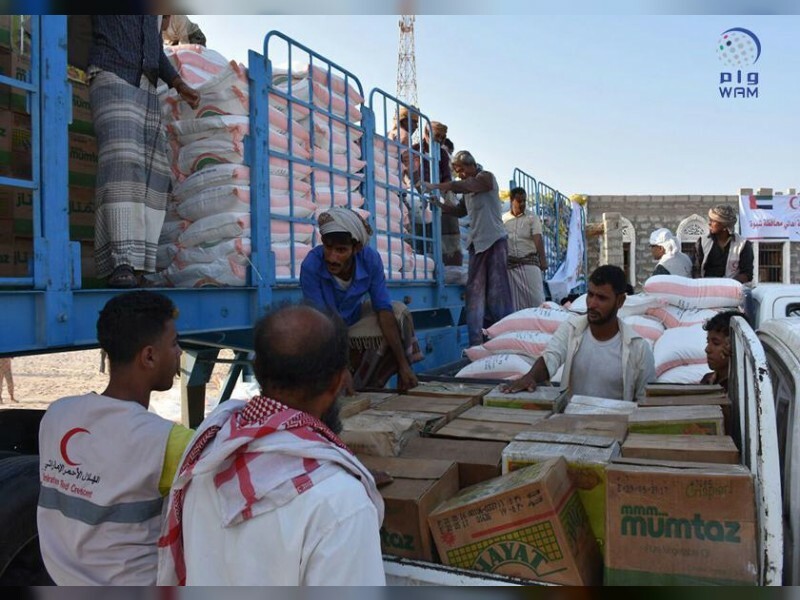 The aid included 172,000 tonnes of food supplies to address sever food shortages, polio vaccines for 488,000 children, medicine, medical supplies and ambulances for Aden, Taiz and Hodeidah, Al Shamsi noted. The UAE also re-built or restored more than 270 school and 40 hospitals and clinics across Yemen, the Riyan Airport in Hadramaut province, as well as an airport and a seaport on Socotra Island to facilitate humanitarian delivery. Work is underway to restore the strategic Mokha Port that was liberated from rebel militias to use it as an additional port for delivering humanitarian aid in Taiz. Co-operation is underway between the UAE and international organisations such as the World Food Programme, the United Nations Children's Fund, UNICEF, the World Health Organisation, and the International Committee of the Red Cross operating in Yemen, Al Shamsi said. Aid provided by the UAE to support budgets, logistic capabilities and training programmes of the judicial authorities and police forces, fulfilled an urgent need to provide security for international and local humanitarian organisations operating in Yemen, he said. The UAE also took part in operations to restore security in Yemen including the recapturing of several areas such as the Yemeni port city of Mukalla from al-Qaeda terrorists, he said, while stressing that the humanitarian situation in Yemen remains a top priority for the UAE because it recognises the highly serious impact of the ongoing crisis on Yemen, the wider region and beyond. The UAE, Al Shamsi said, also supports the efforts of the United Nations Special envoy for Yemen because it believes that a successful solution to the crisis in Yemen should hinge on a successful political track that is established on the three terms of reference, namely the GCC initiative, UN Security Council Resolution 2216 and the outcomes of the National Dialogue Conference. Speaking on the humanitarian crisis in Yemen, the UAE official said it was caused by the rebel Houthi group and militias loyal to the now-ousted president Ali Abdullah Saleh which perpetrated a coup d'etat against the legitimate government and the political track around which Yemenis were united. The rebels, he said, resorted excessive violence against civilians, which prompted the Arab Coalition to respond to a request from the legitimate government to interfere to protect Yemen from the Houthi-Saleh aggression. The rebels perpetuate the humanitarian crisis through using critical facilities such as Hodeidah port, a critical lifeline for humanitarian operations, for military purposes and to smuggle arms from Iran in violation of UN Security Council Resolutions 2216 and 2231, he noted.